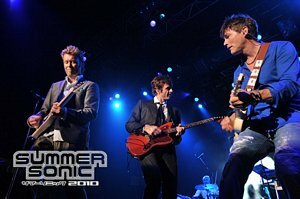 a-ha did two concerts at the Summer Sonic Festivals in Tokyo and Osaka last weekend. Here are more pictures from Tokyo and Osaka. And there’s a high quality clip of TSASOTV on YouTube, taken from an HD TV broadcast (starts at 0:56 mins) – plus a small interview after the song. In addition to the concerts, the band found time to do some shopping and promotion. And Magne and his family had a special meeting with the sumo wrestlers Konishiki and Musashimaru. 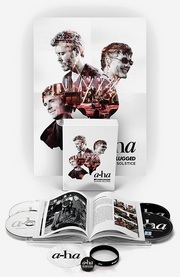 Two festival dates in Japan were announced on a-ha.com a while ago, only to be removed shortly afterwards. The dates now seem to be back on, with the Summer Sonic festival’s website now featuring a-ha as part of its lineup. The festival is held in Tokyo and Osaka on 7 and 8 August.